Whatever your stage on the property ladder at The Build Directory we don’t just build homes we build loyal lasting relationships. We are proud to offer a large range of products and are passionate about making quality and affordable home improvement available to the masses. The Build Directory is a Trading Style of Thistle Solutions Limited. We are authorised and regulated by the Financial Conduct Authority. We offer Credit Facilities from a panel of lenders. We are a Credit Broker not a Lender. The Build Directory have offices in York, Darlington and Newcastle. Qualitas are based in UK and we specialise in; listed building restoration, preserving and restoring sash windows, new builds, loft conversions and also meeting building criteria in conservation areas. 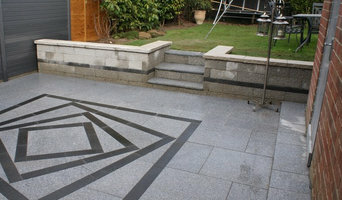 We also design and build truly stunning orangeries. A design and build company does pretty much what it says on the tin – designs and builds your home; helping you design your own house from scratch, pick out the small details and actually bring your dream home to life. They will take on the responsibility of planning the project, drawing up the designs, costing, sourcing the building materials and supplies, building the structure, installing any permanent features and possibly advising on the interior design of your home; all while consulting you every step of the way. A design and build company in Saltburn-by-the-Sea, North Yorkshire will usually employ in-house architects to handle all of the technical design aspects of your renovation or build, whether that’s to design a house or just a kitchen, and will also have main contractors or project managers that will oversee the construction work. The project managers will either work with external building contractors or construction companies, or the design and build company may employ their own builders to carry out the construction work. Either way, all the work is managed by one company and so this means communication is easier and the work is more streamlined. You’ll probably have just one design and build contract, making responsibility simpler and clearer, and also reducing costs for you. However, you should always check this design and build contract closely to see exactly what the firm is agreeing to take responsibility for, so that you don’t get left in the cold at any point. You don’t have to build your own home to hire a Saltburn-by-the-Sea, North Yorkshire design and build firm. 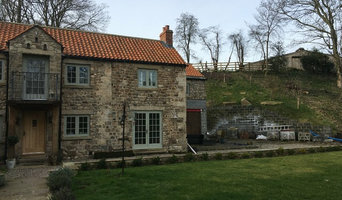 If you are renovating one or a few rooms of a house, a design and build company in Saltburn-by-the-Sea, North Yorkshire can still help you – they can design a kitchen, bathroom, bedroom or living room and then complete all of the renovation work for you. 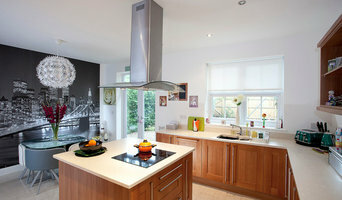 This could be a really good option if you are selling your home and want to increase its value quickly – hire a design and build firm in Saltburn-by-the-Sea, North Yorkshire to redesign and renovate a few rooms of your house without the hassle of dealing with various professionals or the time-consuming effort of doing it yourself. If all of this sounds ideal, then start searching for design and build procurement companies in Saltburn-by-the-Sea, North Yorkshire that can design a house, or room, for you and discuss design and build contracts with you. If you want to look for more specialised contractors, designers, architects or builders to help you renovate or build your own home, then you can still find them on Houzz. Here are some related professionals and vendors to complement the work of design & build: Interior Designers, Landscape Architects & Garden Designers, Architects & Building Designers, Photographers. How long have you been an established design and build company in Saltburn-by-the-Sea, North Yorkshire? Find a design and build company on Houzz. 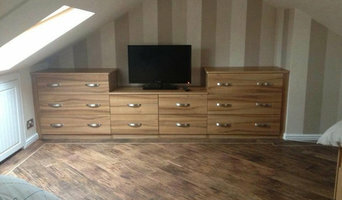 Narrow your search in the Professionals section of the website to Saltburn-by-the-Sea, North Yorkshire design and build contractors. You could also look through Saltburn-by-the-Sea, North Yorkshire photos to find a project you like, then contact the design and build company in Saltburn-by-the-Sea, North Yorkshire that created it.